Many games try to whisk players away on a weeks-long journey full of side quests, epic locations, and DLC content. Few times do developers just invite you to sit back and enjoy the scenery like ABZU from Giant Squid. This underwater tale has been out on other consoles for years and has made its way to the Switch. How does this ported version stack up? ABZU begins by casting you out at sea. You don’t know who you are or what you’re doing. All you know is that you’re in the ocean and you have to move forward somehow. The game teaches you how to use all of its simple controls and then thrusts you through a journey that lasts a couple of hours. It’s a game that begs to be completed in one sitting. 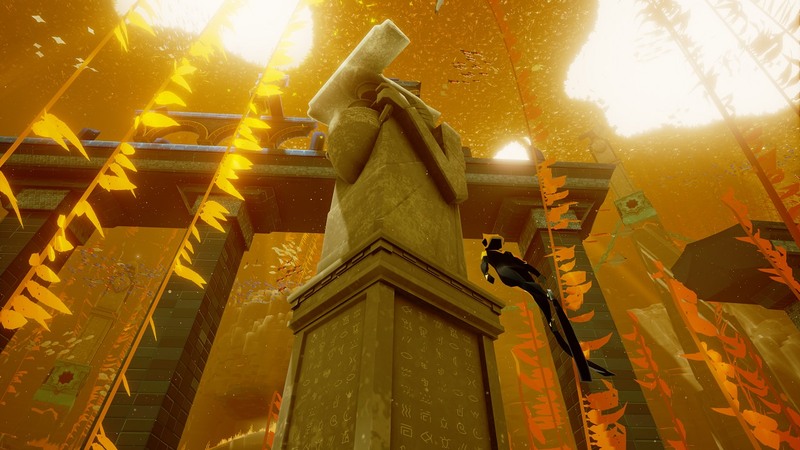 ABZU‘s greatest strength is in how it tells its story. A proponent of the “show and don’t tell” philosophy, the game has players travel through settings that communicate what is going on. Whether it be murals or the behavior of animal life, there’s enough there to follow a story without the game ever stopping to explain everything. There’s a certain simplicity to the game that makes it a joy to just swim to the next objective. Where ABZU shines in its narrative is the soundtrack. Each piece of music is crafted and placed to tell the story. Whether rapid violins pop through the water as you’re rushing through a current alongside a school of fish or hearing orchestral scores as you swim beside a blue whale for the first time, the soundtrack tells the story, and it’s a darn good one at that. Being a game set entirely in water, ABZU could’ve easily been just one long water level. However, Giant Squid created the ocean to be one of the most gorgeous things ever put in a video game. There were constant moments where my jaw hit the floor as lush greenery waved in the water and rays of sunshine cascaded to the ocean floor, highlighting the brightly colored fish that passed through. Its visual design was so good that it alone motivated me to keep playing. I desperately wanted to see the next location so that I could bask in the beauty of underwater life. The visuals are also backed by a knowledge of marine wildlife. 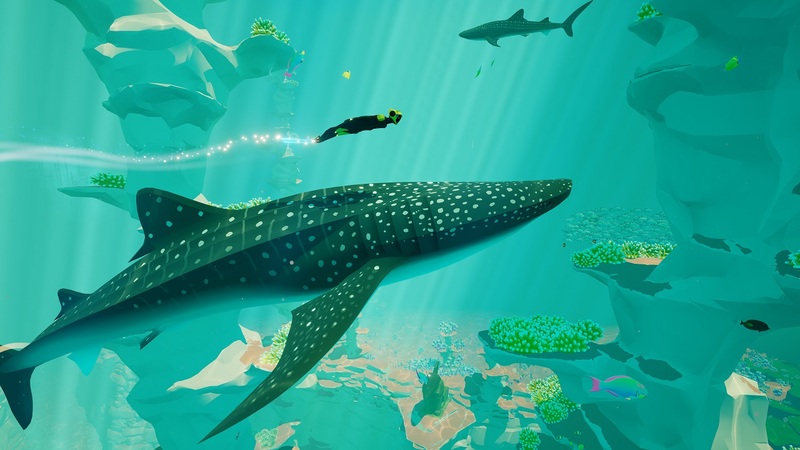 Countless different fish and underwater creatures inhabit ABZU, and each of them is named. You’re given a button specifically for clinging onto these beautiful animals and swimming with them in deep blue. Those interested in all the animals put into the game can use the “meditate” function to see every creature that made it in. There’s a tremendous level of respect built with the animals that made each location feel like I was really swimming through the ocean and seeing them in real life. I’ve said a lot of great things about ABZU so far, but I have to go through some serious problems with the Switch version of the game. I won’t beat around the bush: the port job for this game could’ve been much better. It hurts that such a beautiful game feels so unfinished at the same time. The framerate doesn’t sit at 60 fps, but it’s not a solid 30 either. With all of the visual effects on screen, stuttering is common. While it never made the game unplayable, it was distracting enough that it took me out of the moment. It seemed to stutter more in handheld mode than in TV mode. Likewise, the resolution was great on a big screen, but it lost much of its polish on the Switch’s native display. 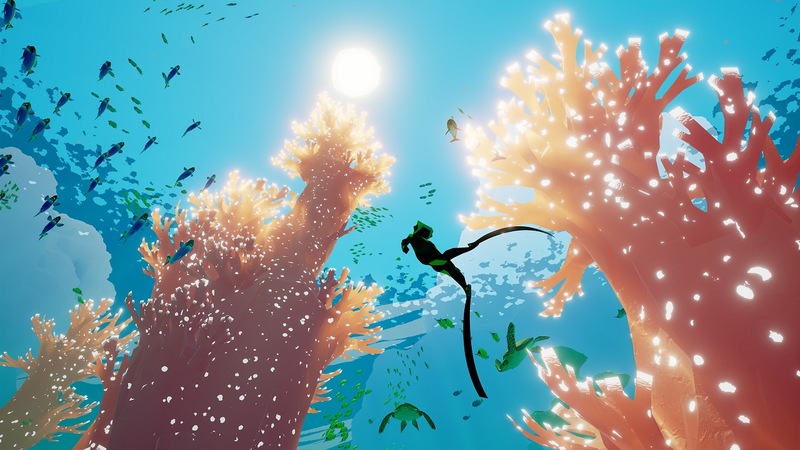 ABZU is a game that begs for the player’s immersion. Everything from the astounding visuals to the swelling soundtrack, it demands your full attention. Because of this, playing on the TV is the superior way to go. The music doesn’t sound great through the Switch’s speakers, with some songs even giving an uncomfortable hum. I would recommend at least getting some headphones, but the graphical downgrade still makes TV mode the best way to play. That brings me to the biggest and most obvious problem with ABZU on Switch. Being a game that is best completed in one sitting, imagine my surprise when I got to the ending and was getting ready to see the credits when the game crashed. Believing this to be some sort of fluke, I booted the game up again and completed the final sequence once more only to reach the same result. Three times I tried it only for the game to crash. The only way to beat the game and see the credits is in handheld mode. It is currently impossible to beat it in TV mode based on my play time. This is a serious issue not only because it halts completion, but it dissuades people from being the game in its most visually appealing manner. All of these issues make me wonder whether it was a game that absolutely needed to be on Switch. At the very least, giving it more work before release would’ve done it a lot of favors. Considering that this version could be the first time some people experience ABZU, it’s frightening that this is the first impression they will get. 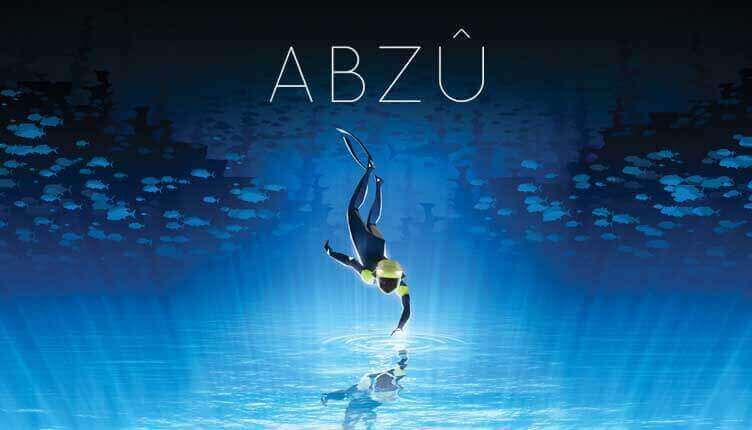 Disclaimer: A review code for ABZU was provided by Wonacott Communications. ABZU on the Switch is a great game that is hindered by errors and framerate problems from the porting process. It's playable for the most part, but it's hard to recommend over versions on other consoles that have better graphics, sound, and can actually be completed on a TV.